John H. Dallmeyer was born in Loxten, Westphalia, and apprenticed to an optician in Osnabrück. He emigrated to England in 1851 and after working at several small jobs entered the firm of Andrew Ross (1798-1859). He was highly respected by Ross and eventually married Ross's second daughter Hannah. When Ross died he left one-third of his considerable fortune - estimated at over £20,000 - to Dallmeyer. The following year Dallmeyer and Ross's son Thomas (1818-1870) agreed to separate, and Dallmeyer established his own business in London. He worked diligently on the improvement of photographic lenses, introducing in succession various high-aperture portrait lenses, and in 1862 he produced his Triple Achromatic lens. In 1866 he introduced his Patent Portrait lens, the Wide-angle Rectilinear, and, finally, his most important invention, the Rapid Rectilinear. Dallmeyer received many honors, including the French Legion of Honor and the Russian Order ofSt. Stanislaus. He died in December 1883 at the age of 53, while on a long sea voyage for his health. He left a second wife and five children. 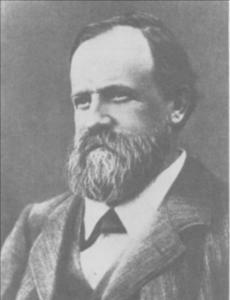 His eldest son, Thomas, took over management of the company. REFERENCE: Dictionary of National Biography, Vol. V, p. 400. Oxford, 1917.